Lillian Zolton, of Hermitage, passed away peacefully on Tuesday, December 18, 2018, at Nugent’s Convalescence Home in Hermitage, following a brief period of declining health. She was 106. Lillian was born March 15, 1912, in New York City, a daughter to the late Max and Ethel Katz Berkowitz. She was the last surviving sibling in a family that included eight children. She became a lifelong resident of the Shenango Valley after moving to Farrell as a child in 1914. Lillian graduated from Farrell High School in 1929 and was the last surviving member of her high school’s graduating class. She attended Slippery Rock State Teacher’s College and worked for several years during the 1940s as a sales clerk for the State Liquor Control Board of Pennsylvania, at the former liquor store located on Broadway Avenue in Farrell. Lillian was a member of the former Temple Beth Israel in Sharon and the former B’nai Zion Synagogue in Farrell. On her 100th birthday, she was honored with special recognition by the Pennsylvania Legislature and the Governor’s Office, as well as, United States Congressional Representative Mike Kelly and United States Senate Representative Pat Toomey. 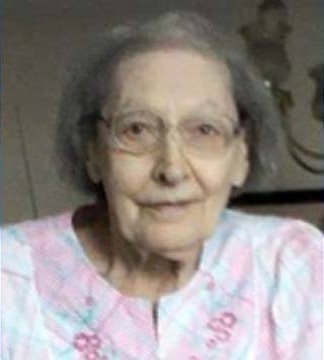 Lillian will be sadly missed by her sons, Jerry I. Zolton and Mark L. Zolton, both of Hermitage, who were her devoted caregivers at her home for many years. She lived through her advancing years and declining abilities with grace and dignity. Her husband, David Zolton, preceded her in death on June 25, 1955. Besides her husband and parents, she was preceded in death by five brothers, Harry, Isadore, Arthur, Martin and Herman Berkowitz and two sisters, Bertha Kirschenbaum and Fannie Routman. Arrangements handled by John Flynn Funeral Home and Crematory, Inc.